Earlier this year I filled my gas tank for $43. On a slip of paper in my wallet, I crossed off $881 and wrote $924. When I hit $1,000, I got a $300 statement credit on my American Express business card account, and then I switched to the next card. Free money. That wasn’t the only bonus I’ve received this year. In the first eight months of 2015, credit card companies gave me more than $1,800 in bonuses and awards. I took in more than $1,000 last year, and my goal for 2015 is to earn $2,000 in credit card bonuses. If you have decent credit and organizational skills, you can do the same. Credit card issuers offer bonuses to get you to apply. You can find these offers listed on websites like CreditCards.com. To get a bonus, you typically have a spending requirement. For example, you might have to charge $1,000 on the card within three months to get a $100 bonus. If the bonus is in the form of cash, account credit or gift cards, the ratio is usually 100 points per dollar (5,000 points gets you a $50 statement credit or gift card, for example). Sometimes you get better payouts for specific redemption options, especially with travel credit cards. For hotel rooms, you typically “pay” different amounts of points according to the category of hotel. Meet the spending requirements by using your cards only for purchases you normally make, and pay the cards off every month. Find the best credit card signup bonuses for you. To claim a bonus, you have to meet the spending requirements in the time allowed. There are a few tricks for doing that, which we’ll get to, but don’t gamble too much. If you have two months to spend $4,000 and aren’t sure you can put that much on the card, don’t apply for it. Find cards with lower spending requirements and more time to meet them. The second example is the one to start with (and it’s often offered by Chase Freedom). After you get that bonus, if the other is still available, you can apply. Or look for another $100-for-$500 deal, so you make $200 total for putting $1,000 of your normal purchases on these cards, instead of only $150, as in the first example. Look for cards with the best bonus/spending requirement ratio. The exception: Credit card companies may reject your application if you have recently opened too many accounts (see the warnings section below). In that case, you’ll want to go for the largest bonuses in order to get what you can before you max out the number of cards for which you can apply. 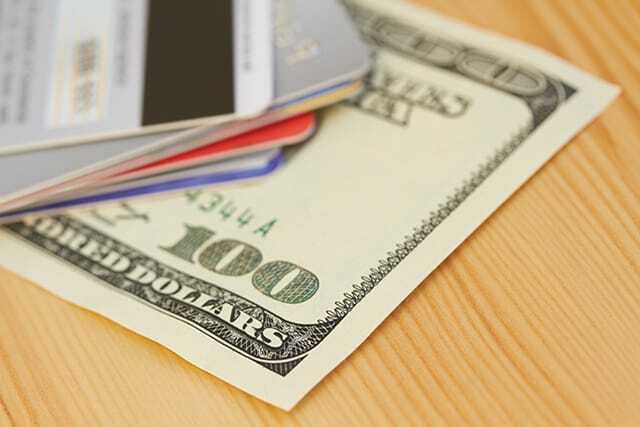 As soon as you meet the spending requirement on a card, you should switch to a new one. To do this, you’ll need to track your spending carefully. I keep a running total on a slip of paper for each card (just add the expenditure to the total). If you jot down the amounts of purchases, planning to add them up later, you might discover you went $500 over the requirement, wasting good spending you could have used for more bonuses. But go a little over on each card, just to be safe. You might return something you purchase, which could knock you below the requirement if you barely met it. To get the most perks, you have to switch from card to card, collecting a bonus on each. Perfect timing would be getting a new credit card in the mail the day you meet the spending requirement on the card you’re currently using. It won’t work that well, but aim for good timing. Set your spending requirement deadline two weeks ahead of the actual date, just to be safe. Purchases may count only when they post to your account, which can be a few days after you make them. Do it right, and tracking takes very little time. What Do You Really Get? Here’s how I figure the dollar value of the bonuses I get. I consider this the same as getting cash. You normally just spend a credit card statement on your card. That’s the equivalent of cash. But if it can only be applied toward certain purchases (travel cards sometimes only allow credit toward flights on certain airlines, for example), value it at what you would have spent otherwise (see my hotel example below). A card for a place you normally shop at is equal to cash. For example, I received two $100 Walmart gift cards recently, and we buy groceries there every week. On the other hand, my $25 movie theater card had a value of $15, because without it we would have gone to a cheaper theater. Tally these according to what you would pay otherwise. Our recent free room at the Andaz in Savannah, Georgia (using Hyatt card points) was normally $239, but we would never normally spend that much. We would have booked a room elsewhere for $100, so that’s the value I used. Account for credit card fees, too. I don’t like to pay fees, but it’s worth it at times. For example, my Hyatt card has a $75 annual fee, but we get a free night every year plus more for the points accumulated. Of course, I prefer cash or direct equivalents, which add up to $1,276 of the $1,466 I’ve received so far this year. That includes cash-back awards in addition to signup bonuses. The basic routine for getting bonuses is to apply for the best cards and switch them out as you meet the requirements. But here are some additional tips and tricks to add to your repertoire, so you can make more money. Many credit card companies will send a check when you have a credit balance on your account. When you get that bonus as a credit, don’t spend it — you need it to go toward another bonus. Instead, call and ask for a check. Look at all your options when redeeming your bonus points. Getting a $250 credit toward a $500 flight might seem like a better deal than taking a $200 check, but you have to look your other options. If you can book a flight to the same place for $350, you’re better off taking the cash and going with the budget airline. Make spending count toward new bonuses by waiting until the right time to spend bonuses you’ve already earned. When you’ve completed the spending requirement for a card and you can’t find another good offer for a month, that’s the time to use those gift cards or redeem that free hotel night. If your bonuses have expiration dates, note them on a calendar. Apply for offers with large spending requirements when large expenditures are due. The Citi Thank You Premier Card offered me 50,000 bonus points, redeemable for $500 cash or $650 toward travel expenses, but with a $3,000-in-three-months spending requirement. So I waited and applied when my home insurance was due. I put the $896 payment on the card and met almost a third of the requirement the first week. What if you have a $1,000 spending requirement to get your $200 bonus and you’re $150 short with the deadline coming soon? Make normal expenditures ahead of time. In other words, stock up on toilet paper and canned food, or pay a few bills early. If you can manage two bonus cards at once, alternate them for appropriate purchases. One of my American Express cards pays 3% cash back for gasoline purchases, and one of my Chase cards offers 5% for meals at restaurants (during certain months). When using them, I alternated to maximize the total received from signup and cash-back bonuses. If you get a bonus for opening a bank account, you have to pay income tax on that money. On the other hand, credit card bonuses are considered a discount by the IRS, so this is tax-free income. That means my $2,000 this year (if I make my goal) is worth the equivalent of almost $3,000 in earned income. After applying for a dozen credit cards within a few months, I finally had one application rejected because I’d opened too many new accounts. My credit score actually went up, probably because my credit utilization ratio went down. But I suspect that’s temporary and I’ll take a hit of 10 or 20 points once the ratings are updated. It’s no big deal for me, since I have no plans to get a mortgage or ever borrow for anything, but be aware you could do some minor damage to your score from opening so many accounts. Also, closing credit card accounts can hurt your credit score. Again, I don’t worry about it; it will bounce back in time. If there’s an annual fee I’ll close an account after getting the bonus. But be careful if your score is anything less than excellent to begin with and you might be borrowing for a home soon. It’s worth noting that closing older accounts and increasing your utilization ratio from closing accounts is what hurts credit scores the most. So, if you close only newer accounts and you use very little of your total available credit lines at any one time, you may not see much of a drop. Your Turn: What’s the most you’ve made in credit card bonuses? What tricks have you used to get more money?